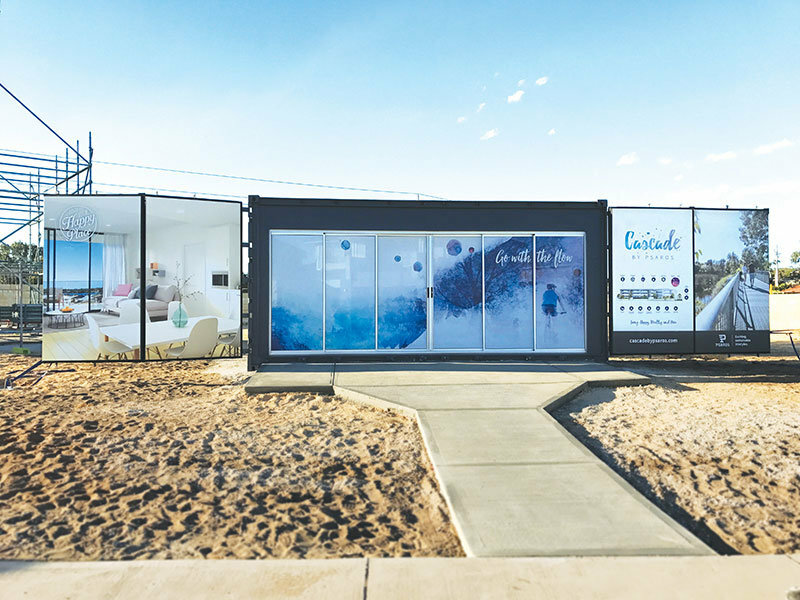 Workhouse Advertising engaged us to convert a full bi-fold side door sea container into a professional sales office at PSAROS’s Cascade development in Waterford. 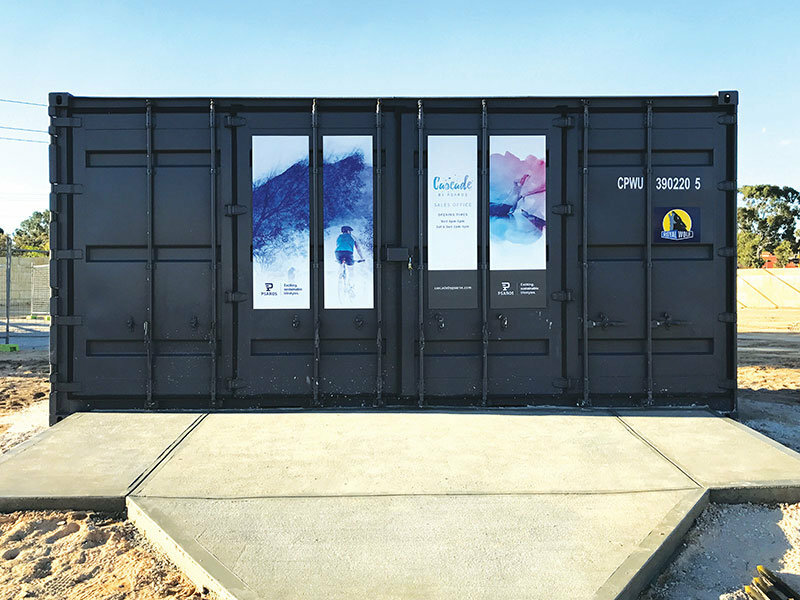 As a rental sea container, a special consideration was graphics had to be of a temporary nature, with no permanent fixtures that could cause damage. With a blank canvas to work with our teams devised the best products for the transformation following a site-visit and measure-up. 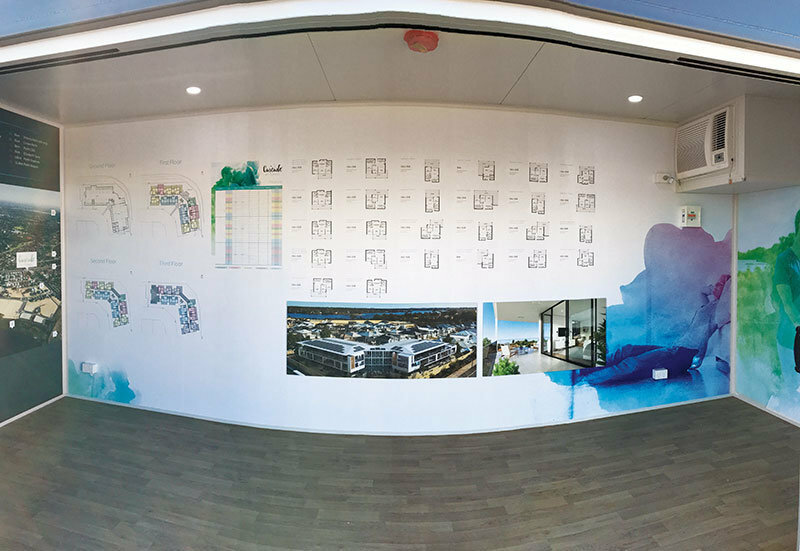 Unable to use permanent affixing methods, we designed a solution using magnets and aluminium composite panels that provided a flat, temporary surface for the artwork. Using a one-way vision window graphic meant sun-light could enter the office while allowing vision from inside the sales office to outside. We applied wall graphics to the walls. To make the artist impressions jump off the wall we used 5mm gator foam edge wrapped with self adhesive vinyl. The result is a fully transformed space designed to make a great first impression on sales office visitors. Our clients think we did a superb job — and we’d have to agree!